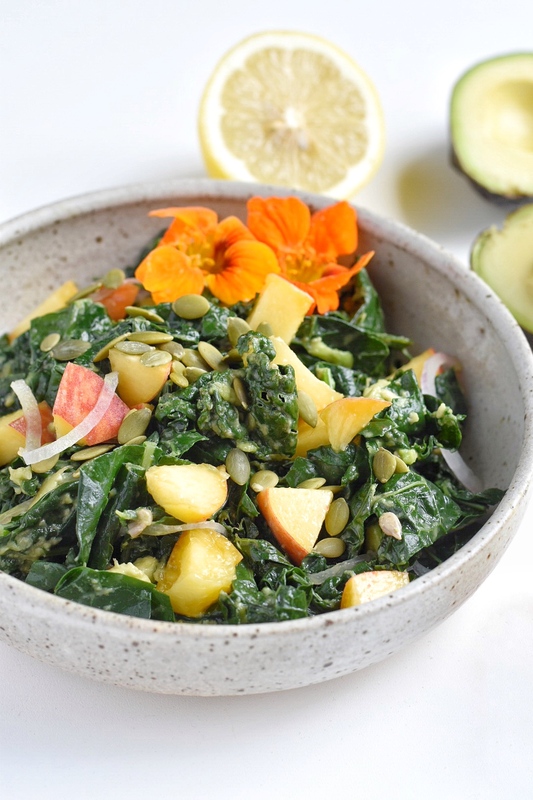 One of my all time favorite salads is kale massaged with avocado, lemon, and salt…it just works. In fact, I have called this “the best kale salad ever” and have been eating this salad for years. 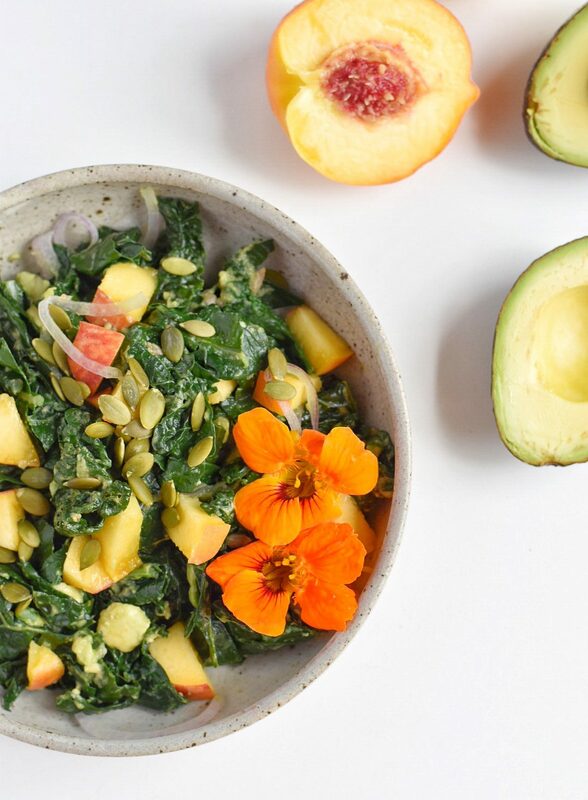 Today, I want to share with you a variation on this salad that is utilizing the local ingredients that are at the peak of the season RIGHT NOW, a Seasonal Kale Salad with peaches and blueberries! I made this salad a few weeks ago and the response I got was that it was a huge success…obviously! 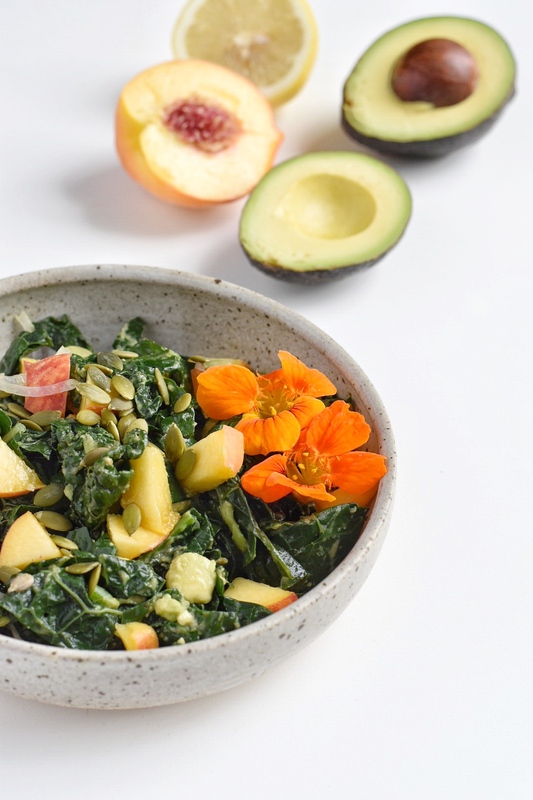 I mean the base is the best kale salad everrr and then I added in the seasons favorites, so I really couldn’t have gone wrong. 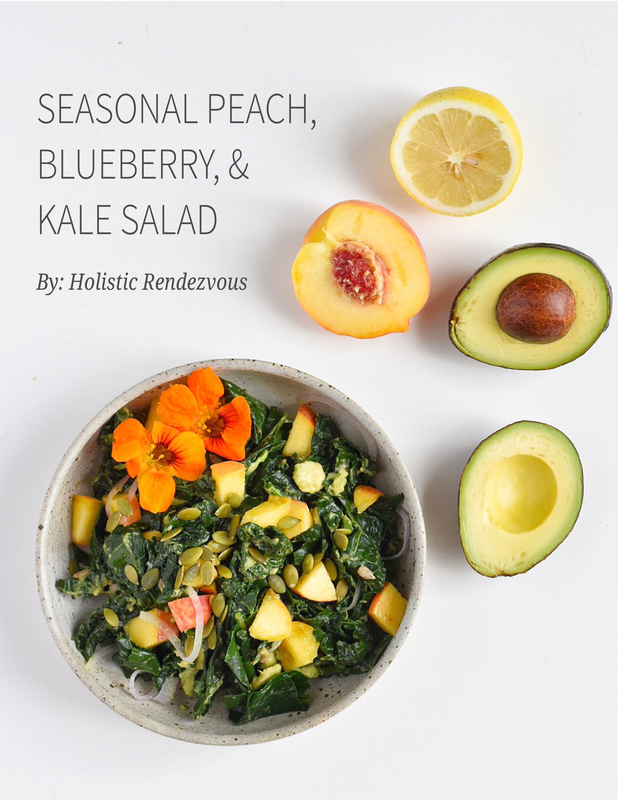 Many of my friends have been making this variation since, so I decided it was time to share it with you all so you could enjoy the best Seasonal Peach, Blueberry, and Kale Salad ever too! 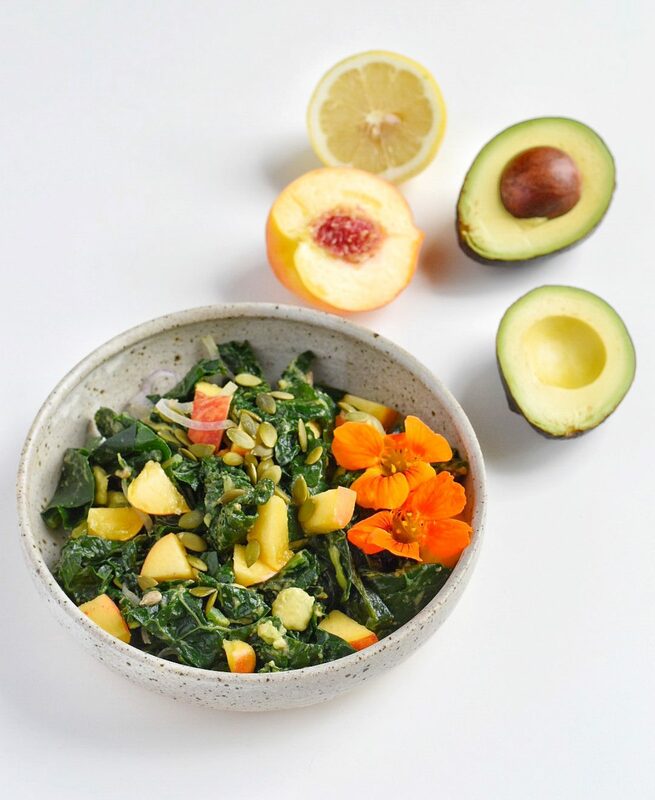 All of these ingredients were found at the local farmers market except for the avocado and lemon…if only I lived in California! 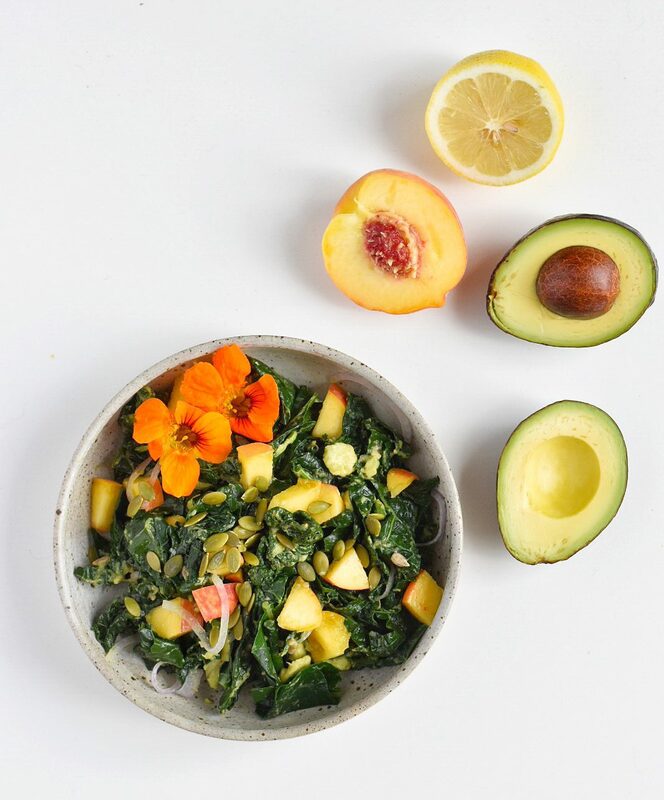 So, go to the farmers market, grab yourself some local fare and make this amazing salad! salt and pepper to taste! Massage with the juice of 1 lemon, 1 avocado, and salt and pepper until soft! Toss in blueberries and diced peach and enjoy! I served this with some baked chicken thighs for a super balanced and nourishing dinner! 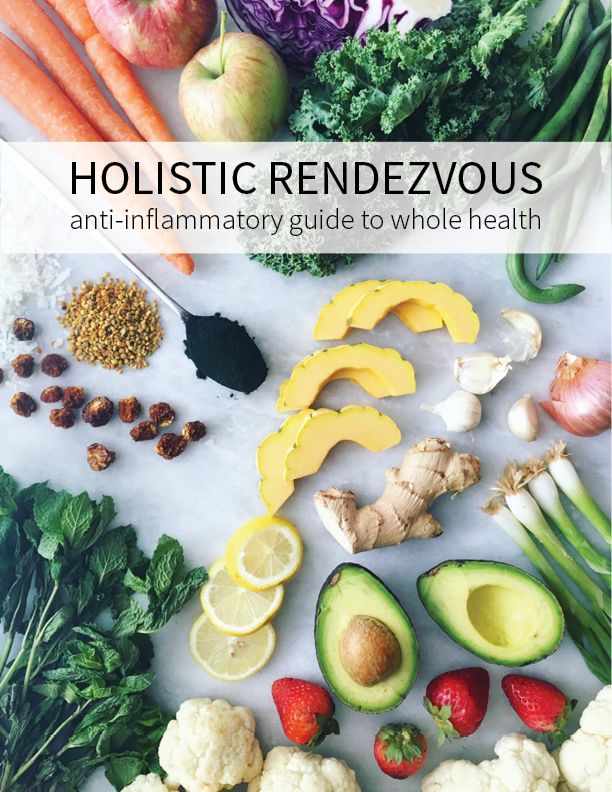 Let me know what you think of this recipe and be sure to #holisticrendezvous when you make this and tag @holisticrendezvous so we can see your creation! Kisses, B.